The Las Vegas Valley got a break from gusty winds on Friday, but the string of hot days is inching toward record territory. The Las Vegas Valley is likely to see a return of gusty winds on Saturday, as the string of 100-degree days inches toward record territory, the National Weather Service said. The official high Friday was 100 degrees, the 91st consecutive day of 100-degree or hotter weather in the valley this year, marking the longest streak of 100-degree or above days since 1958, the weather service said. The record for longest streak is 100 days, set in 1947. 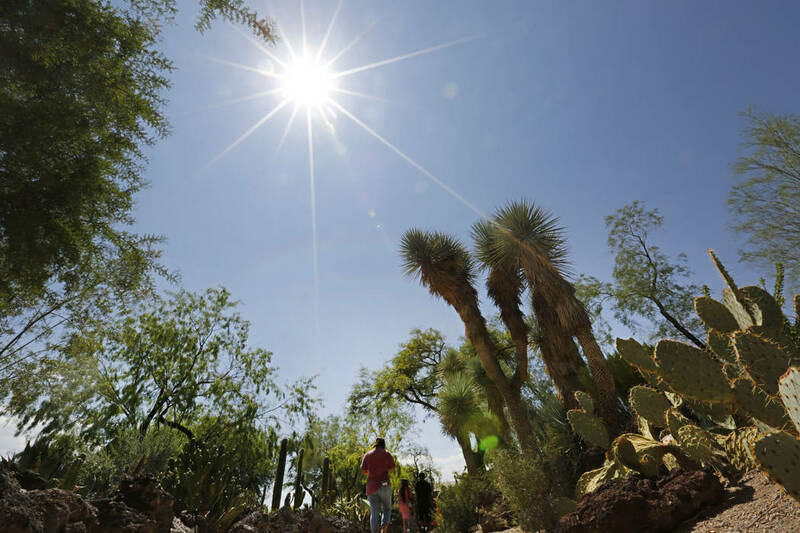 On average, the valley sees 73 days of weather at or above 100 degrees, the weather service said. By Saturday morning, winds will reach speeds of about 20-25 mph and could gust up to 35 mph. Saturday will start out cool and clear with a morning low near 76 before the high for the day climbs to about 100, the weather service said. Winds will decrease slightly overnight, and gusts on Sunday could reach up to 25 mph. Sunday’s high should reach 99. Monday’s high should stay at 99 degrees, and the valley could see a few light breezes, the weather service said. Tuesday’s high is also expected to be 99, and the high forecast for Wednesday is 97. Contact Max Michor at mmichor@reviewjournal.com or 702-383-0365. Follow @MaxMichor on Twitter. Review-Journal staff writer Katelyn Newberg contributed to this report.